TROON, Scotland—There is no other major golf event that rivals The Open Championship in terms of varying weather conditions and the incredible assortment of bounces—both good and bad—that can easily happen at any moment. It does not take much for any golfer—even the best in the world—to have a single bad round and end any opportunity in the attempt to claim the famed Claret Jug. 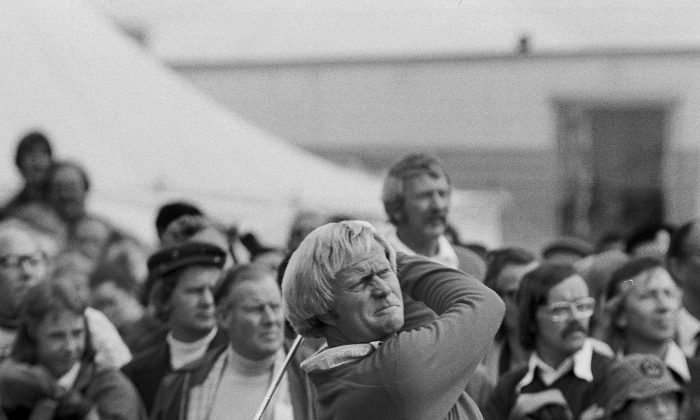 From 1963 through 1980 Jack Nicklaus demonstrated a consistency that may never be matched. In those 18 consecutive events in which the Golden Bear teed it up in The Open, he won three times, placed second a record seven times, finishing in the top five 16 times and only once out of the top ten with a 12th place finish with clearly no missed cuts. What many do not know is that, though Nicklaus won 18 major golf championships, he also finished 2nd no less than 19 times! Between 1966 and 1979, Nicklaus finished no less than the top three with the exception of three times and in those instances he finished tie for 6th in 1979, tied for 5th in 1971 and 4th outright in 1973. That is beyond mind-boggling in its utter breath of consistency. What many people sometimes do not weigh heavily enough is that golf is not just about wins alone. It is about being able to be a consistent factor in the biggest events. None was better than Nicklaus for the many years involved. And when one considers how totally unpredictable the day-to-day conditions can easily be during The Open Championship it simply speaks volumes to the manner by which Nicklaus was able to prepare himself each and every time. The Open prides itself in illuminating the character of golfers. It is quite easy to lose one’s concentration and focus on the on what happened then what lies ahead. Nicklaus rarely placed himself in those type of situations. Jack won two of this Claret Jugs at the iconic Old Course at St. Andrews. His first victory came in 1966 at Muirfield—also in Scotland—and it made such an impression on Nicklaus, he ultimately named his home course Muirfield Village, just outside of his hometown in Columbus, Ohio. The secret to Jack’s incredible consistency was a clear game plan and never pushing the limits in attempting bold plays with little real upside for success. The Nicklaus formula was intense studying of what a course would give and take away. In Jack’s triumph at Muirfield in 1966, the rough beyond the fairways was so dense and high that Jack quickly realized keeping his tee ball at all times on the short grass was essential. Nicklaus played 1-iron tee shots time after time and avoided the big numbers that befell many of his competitors. Much has been rightly written on the talents possessed by Tiger Woods and rightly so. Like Nicklaus, Woods won two of three Open titles at The Old Course. But it was the manner by which Woods won the ’06 Open at Royal Liverpool that was truly magnificent and reminiscent of the Nicklaus manner in its clinic-like precision. Woods eschewed usage of his driver all but two times and provided a scintillating clinic on time after time hitting long and middle irons closer than others were hitting short irons. The Nicklaus record is layered far beyond just a recounting of his total major championships. Jack’s wherewithal to size up situations and to execute accordingly is often forgotten by those who only see the talents of the present crop of top tier players. This week’s Open Championship at Royal Troon will once again provide another opportunity for golfers in pursuit of The Claret Jug to think smartly when called upon. Nicklaus set a standard for golf greatness—setting a high bar that may never be surpassed. In that 18-year run at golf’s oldest major event, the Golden Bear always kept himself in the hunt—keeping himself close enough to the lead to reap the bonanza of a win should the opportunity arise. Jason Day, Dustin Johnson, Rory McIlroy, and Jordan Spieth have only one Claret Jug amongst them, with Rory winning in ’14. The Nicklaus model in mental strength is something the top four players will need to demonstrate at Troon this week—particularly when playing the final nine holes which are among the event’s toughest concluding holes.